Greensfelder Officer Upneet S. Teji has been appointed to the Board of Directors of IICLE, the Illinois Institute for Continuing Legal Education. IICLE is a non-profit group dedicated to the professional development of Illinois attorneys. Its board members “are committed to guiding the Institute’s efforts and shaping its central goal of serving the educational needs of the Illinois bar,” according to the organization. Teji is a frequent presenter at CLE events hosted by IICLE and other groups on topics concerning commercial real estate and lending. 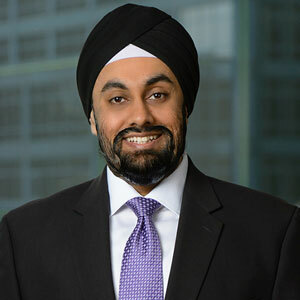 He is based in Greensfelder’s Chicago office and is a member of the firm’s Business Services group, handling a broad spectrum of commercial real estate, financing and corporate transactions. Teji’s term on the IICLE board will run through 2021.